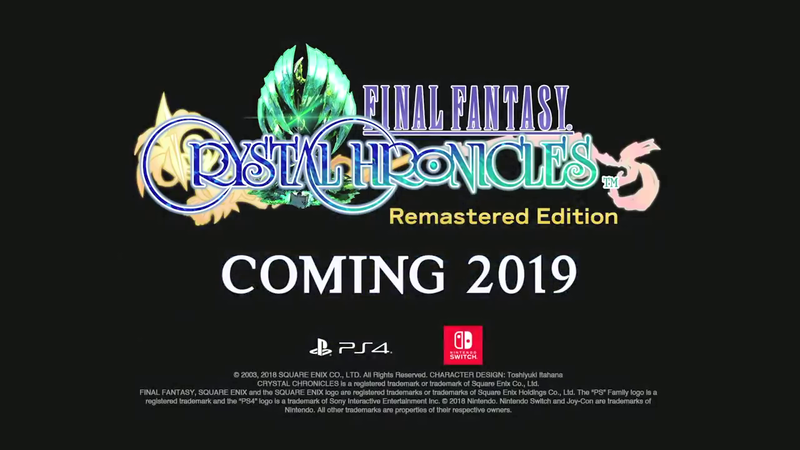 Today Square has announced they will be creating a remastered edition of Final Fantasy Crystal Chronicles. This 4 player adventure about heroes trying to save to world from Miasma was fun on the Gamecube. Not much was revealed from the announcement trailer, but the game will feature text in English, French, German, Italian and Spanish, and there will be in game English audio as well. The game will be coming to both the PlayStation 4 and Nintendo Switch in 2019.